M2M or Machine to Machine interactions have been around for quite some time now and with IoT getting into mainstream, the machine to machine interactions are at the forefront again. So what makes IoT and M2M so interesting? Though M2M has been there since 1930s, when the British military first invented radar to detect aircraft, it is getting into every household these days. M2M is at the heart of Internet of Things and with connected devices getting so common, in future, it might be at every corner of your house. IoT is all about connected devices communicating with each other in form of data which is being analyzed and action being taken in real-time with/without human intervention. Given the current pace of things, human intervention is going to get less every year. This is going to be the most important factor for testing M2M/IoT applications as the resources are supposed to have domain knowledge as well as systems engineering understanding. Having the right resources with good skillset is going to be critical for success of IoT projects. Having the right test environment for testing the devices, applications around it, communication between machines is going to be difficult as the number of devices rises. Once the devices with different versions and upgrades emerge, mimicking and simulating the test environment will be a challenge. Here comes the real challenge. M2M usually generates terabytes of data for different processes, and which may also be behaviorally different. And given that there will be different types of devices which will be communicating and generating different types of data, getting it right becomes even more important. Data privacy and application security are the non-avoidable types of testing, given that there will be lot of loopholes when multiple devices interact over multiple channels. This becomes even more important because m2m devices usually don’t have specific identities (currently), and testing thus them for vulnerabilities is must because the amount of data which gets exposed. IoT has given rise to different operating systems, devices and messaging protocols. Making sure that different devices communicate properly while maintaining the standards is key to success of the IoT. 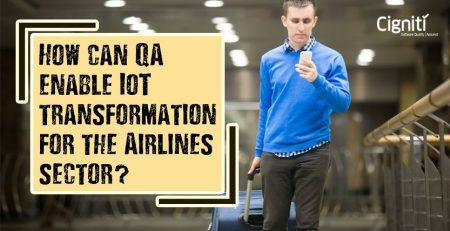 Performance becomes critical in the case of IoT as the response time between machines is critical to the success of the business scenarios which run over these devices. At the same time, measuring the vital statistics of devices like power usage, memory usage, endurance testing, disaster recovery testing is also important. Testing for accessibility is going to grow as we see more interconnected devices around us. With smart cars talking to smart buildings and in turn passing the information to smart wearables, this is going to be compulsory type of testing to be considered. We are going to see standards, protocols and compliances emerging in the IoT space and making sure that regulatory requirements are adhered to will be crucial. These are few of types of testing which we feel are important. 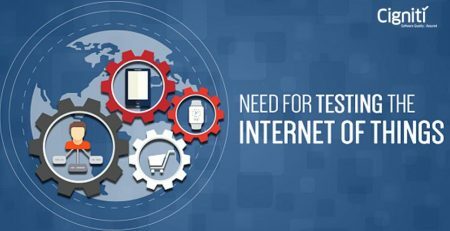 But there will be many more types of testing which needs to be considered to cover the end-to-end functionality of the IoT devices. It is going to be interesting to see how this space evolves and if any new standards, tools and, processes becomes part of the IoT software delivery pipeline. Whatever it will be, we will keep you updated with the latest in IoT testing world.